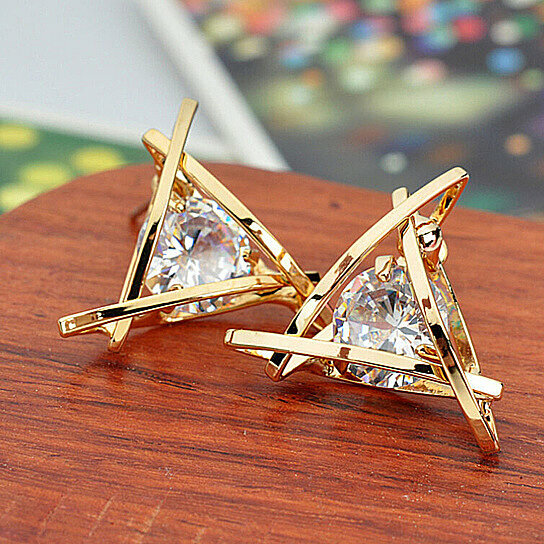 Beautifully hand crafted Triangle Pierced Earrings, made from the best Swarovski Elements crystals. The clear crystal stud accents this design for an elegant sparkle. These earrings are perfect gift for a friend or loved one, or the perfect addition to your own personal collection.